The folks at ‘The Hammer’, settling in to new digs. Photos: Rohan Thomson. The team at Thor’s Hammer is over the moon now that they have a new home. 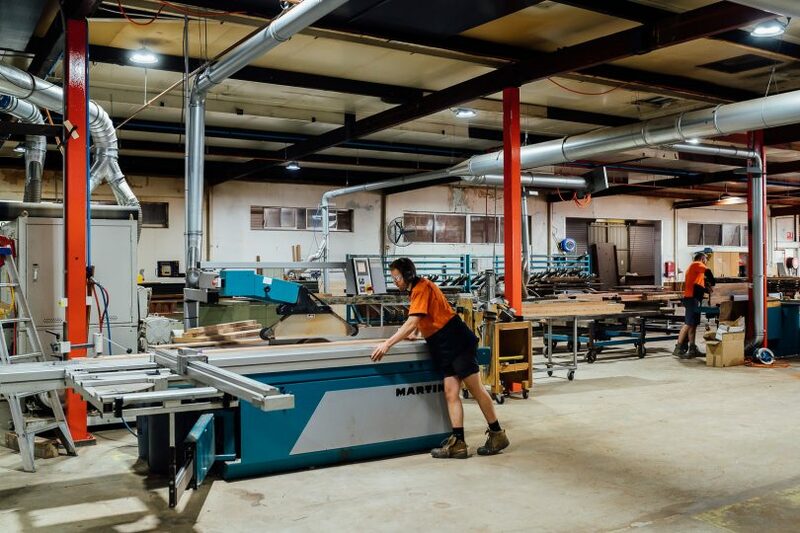 After 23 years at the Brickworks in Yarralumla, Thor Diesendorf received a letter announcing that the site was to be redeveloped by Doma Group into a 380-dwelling residential development and informing him it was time for his business to vacate. The issue for Thor wasn’t so much having to move. It was where to go, given the nature and size of his recycling, joinery and furniture-making business. After all, Thor’s Hammer needed to relocate more than 600 tonnes of recycled timber and machinery. After some twists and turns, and several negotiations with potential sites that didn’t work out, life came good. 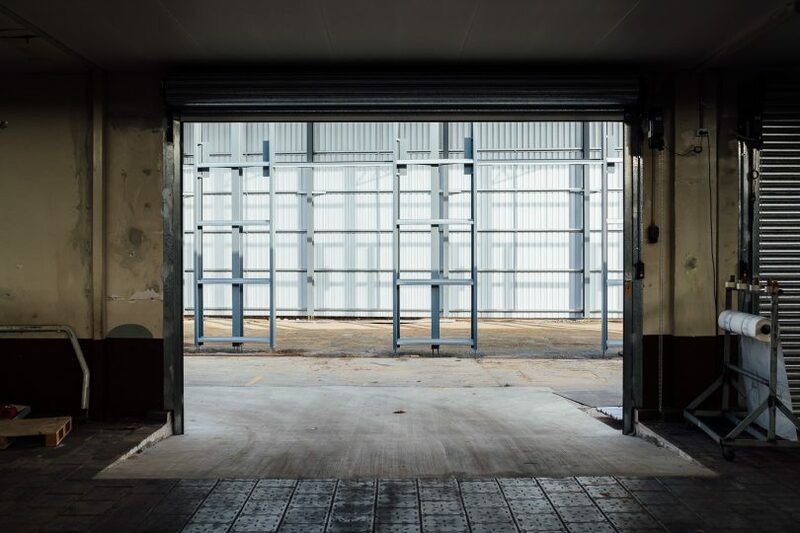 Thor signed a lease to take over the former Tip Top Bakeries’ factory on Mildura Street near the Fyshwick markets, which had been closed for many years. The team is now happily settling in to their new digs and looking forward to expanding operations and opening a new showroom and gallery space in May this year. Right at home. Thor’s new location has heaps of space to grow. The Fyshwick site has proven to be a blessing in many ways. It’s more centrally located and offers easier access for customers. It’s also larger with more undercover space for workshops and storage. And, like the beloved Brickworks premises, the Tip Top Bakeries site has loads of history and character. Ironically Thor’s decision to take over the factory site probably saved it from being demolished. Once the site was secure, major effort began to transform it to suit ‘The Hammer’s’ needs. The factory, built in 1954, was shut down in 2008. Working with recycled timber. Several women work on the Thor’s Hammer team. While the revamp was major, Thor’s Hammer took care to retain a bit of history along the way, from restoring the cool old round chrome and timber front door handles, to replicating the original paint colour in the factory and retaining the 1950s tiles and sinks in the bathrooms. The lettering on the Thor’s Hammer sign on the front wall of the building references the original white Tip Top signage. Now the inviting front entrance features a new walkway, deck and pergola created with love from a mix of recycled timber including Blackbutt decking recycled from Luna Park and posts milled from old piers from the CSR Pyrmont Sugar Wharf. The former Tip Top site was stripped right back. The move was staged over three months so Thor’s never missed a day of business operations. More than 30 semi-trailer loads of machinery and timber were moved across from the Brickworks to the new site with Thor and three or four helpers working constantly. Thor’s Hammer’s work can be seen across Canberra in public, commercial and private spaces. 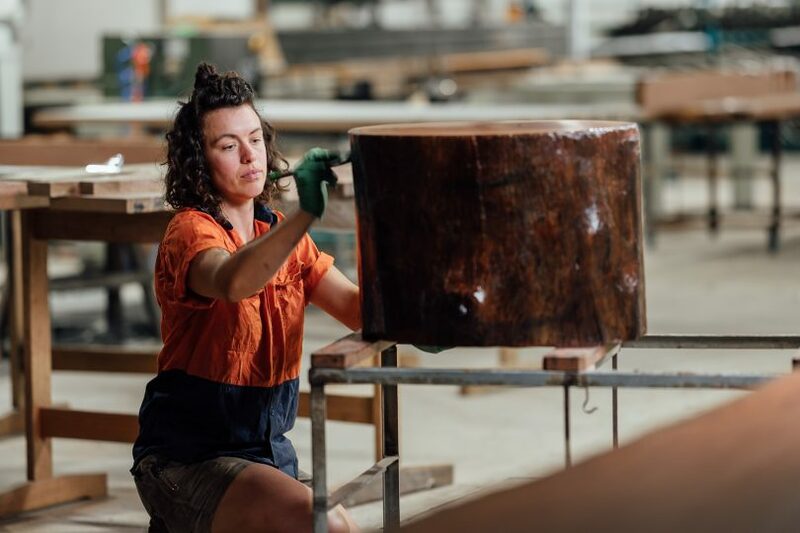 The team supplied the decking and built the seating at Commonwealth Place, the seating at the Red Centre Garden in the Botanic Gardens, and in other major tourist spots like the National Museum and the National Arboretum. 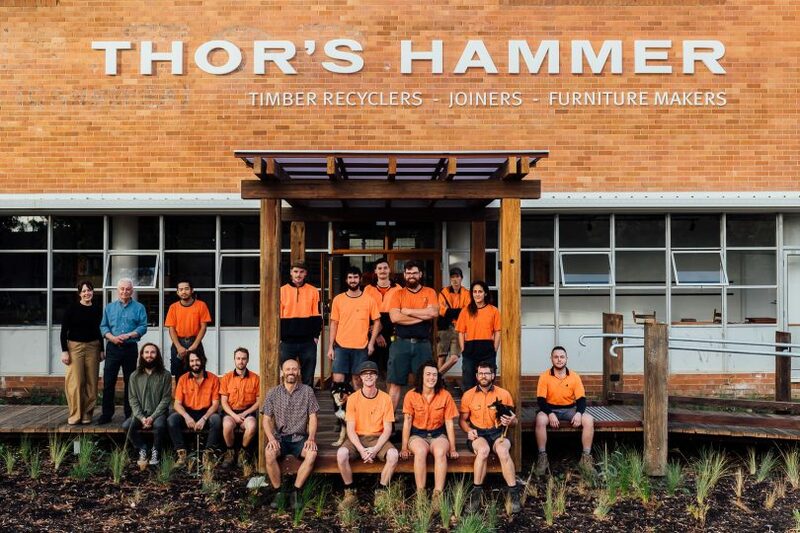 In commercial and hospitality spaces, the work of Thor’s Hammer includes fit-outs and furniture, such as the long L-shaped bar and tables at Capital Brewing in Fyshwick, and at other hospitality spots like Bentspoke in Braddon and Akiba in the city. 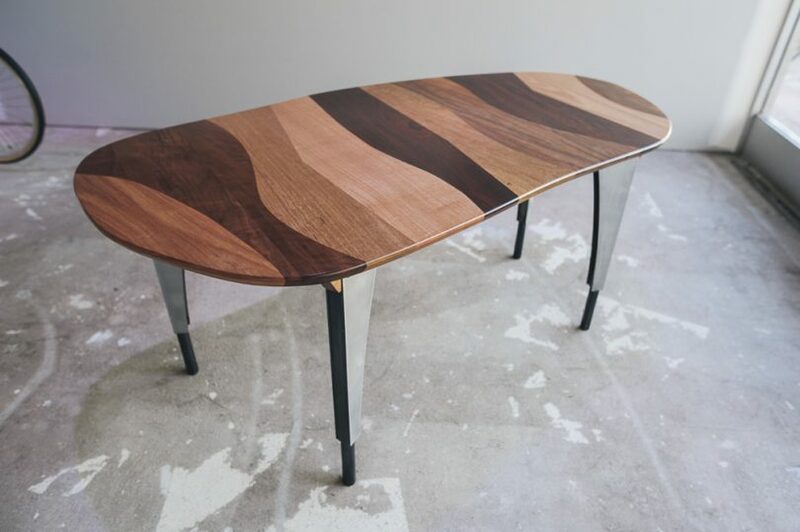 Recycled timber features in private homes—transformed into features pieces like statement front doors, flooring and dining tables. There’s no end to the creativity at Thor’s Hammer. Image from Thor’s Hammer.